Useful fish forks with handle decorated in a very original way. Not everybody has at home the right forks for each course, which is why Villeroy & Boch offers special cutlery in sets of six pieces, to give an added value even to the most elegant table. This is the case of the Blacksmith fish forks, which can be purchased alone, or together with the entire set of cutlery of the same line. These fish forks are light and very special, with the prongs designed to make it easy filleting any type of fish; the fish forks are 18 cm long and weigh 45 g; they are perfectly in line with the Blacksmith service. 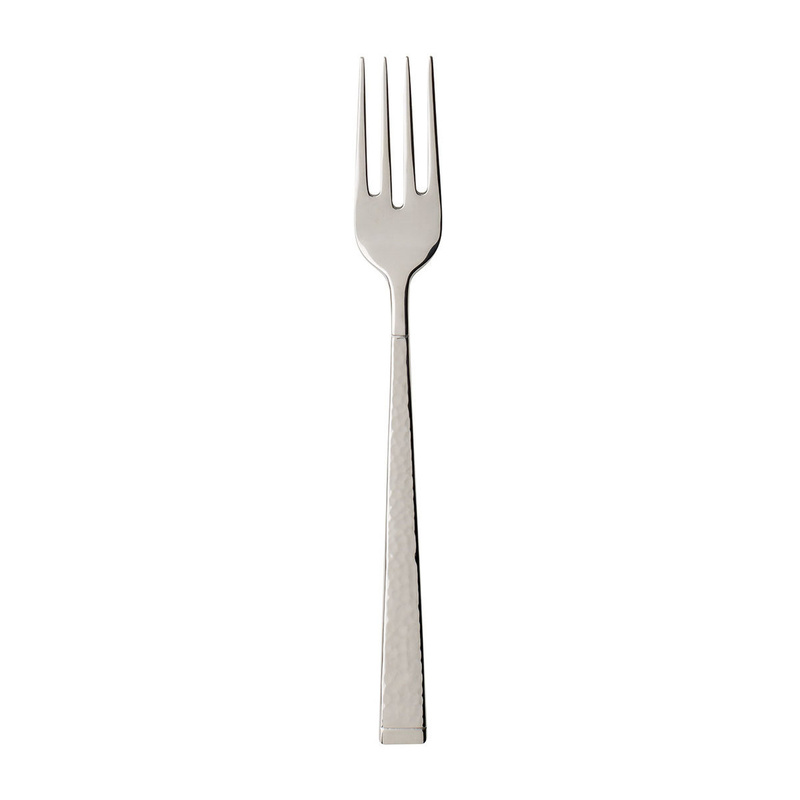 The slim handle widens towards the base, to make it easier to hold the fork. The handle is decorated with light hammering, whose glossy finish gives them a past flavour, as if they were handmade by a skilled blacksmith. Certainly the appearance of these fish cutlery by Villeroy & Boch is best appreciated if accompanied by other serving utensils of the same line, although if you want you can also combine it with other types of cutlery. The finish is very glossy, but there's no risk to ruin it thanks to the high quality of the steel used by Villeroy & Boch which ensures the long life of the forks. 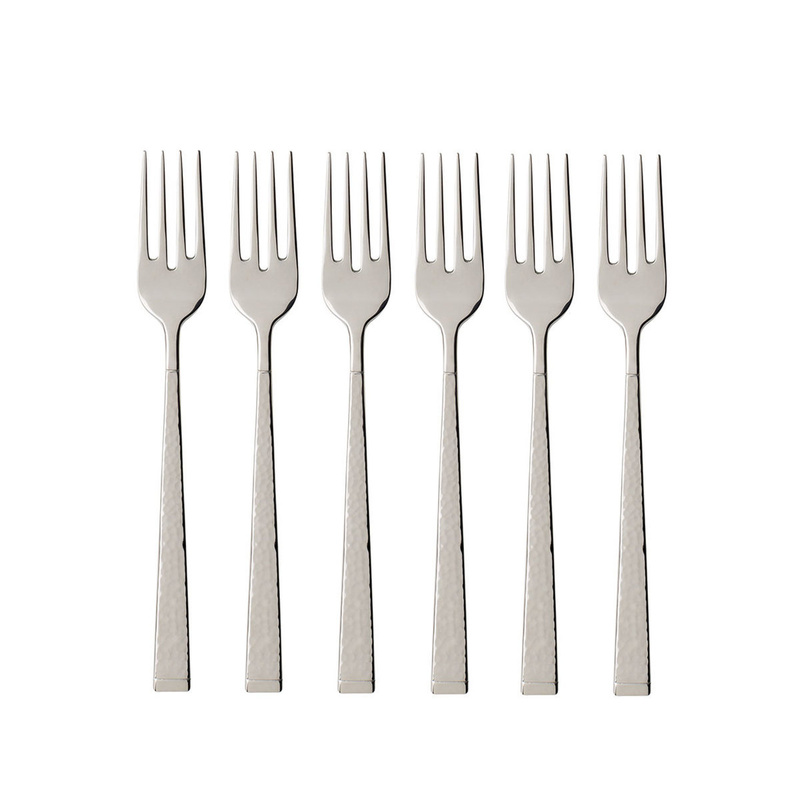 These fish forks are dishwasher safe without fear of stains or scratches. If you have any friend who really love to set up the table in a very complete and elegant way, the 6 Blacksmith fish forks by Villeroy & Boch are definitely a perfect gift. Certainly it will make an unusual gift, but much appreciated by those who love beautiful things even on the table. The fish forks Blacksmith are perfect to accompany any elegant table set, both contemporary and modern or the most classic, and they are also suitable for matching traditional or hand-decorated plates.